Are you a fan of roguelikes? Listen up. Actually, even if you don't much care for these traditionally unwelcoming dungeon-crawlers, you still should listen up if you own a Vita (or PSTV) and you're looking for something to play on your Sony-made console. Why? 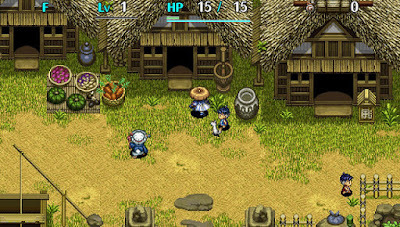 A couple of days ago, the folks at Aksys Games revealed they'll be releasing ChunSoft's Fushigi no Dungeon: Fuurai no Shiren 5 Plus--Fortune Tower to Unmei no Dice in North America on July 26. 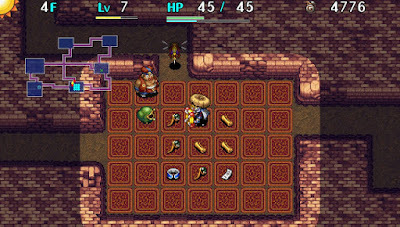 In this part of the world, the game will go by the far more understandable Shiren The Wanderer: The Tower of Fortune and the Dice of Fate. The best part of this out-of-nowhere announcement: The Tower of Fortune and the Dice of Fate will be available in both digital and physical (boxed) forms upon release. Sadly, no one seems to be taking pre-orders for this Shiren The Wanderer title--the first to see the light of day in North America since 2008's Mystery Dungeon: Shiren the Wanderer, also for DS--at the moment, but I'm sure that will change shortly.